Scarborough residents are demanding answers from the city after a new outdoor skating rink and trail — that was scheduled to open in January 2017 but remained unfrozen and behind construction fences — will have to be ripped out and built again. Scarborough residents are demanding answers from the city after learning a new outdoor skating rink and trail scheduled to open in January 2017 will have to be ripped out and built again. The $600,000-hockey rink facility and skating path at McCowan District Park, located at McCowan Road near Eglinton Avenue East would have become the area's second outdoor skating facility. But while it may appear to be complete, city officials say it won't be ready to skate on until at least December 2018 — some two years behind schedule. 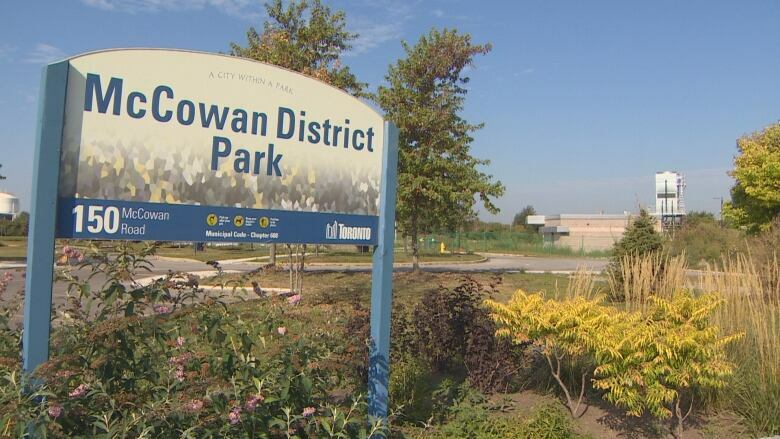 "We found out this spring that there were not only delays, but there were some problems with the refrigeration units of the ice rink and it's going to have to be totally ripped up and replaced," Coun. 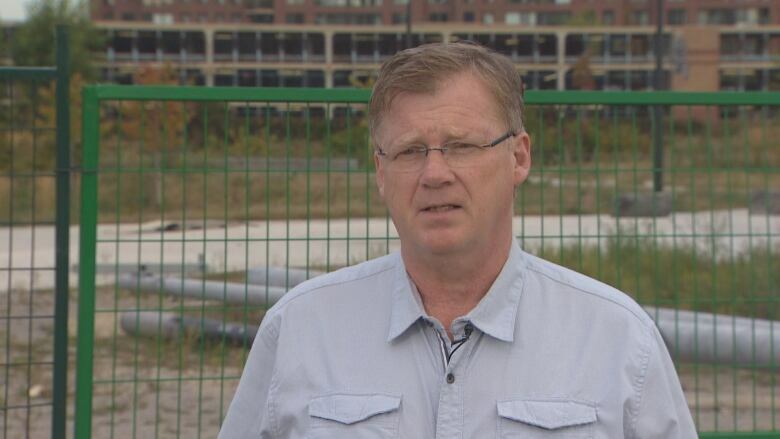 Gary Crawford told CBC Toronto on Saturday after the city quietly announced the delayed opening last week. According to the park's website, the refrigeration piping installed underneath the brand new concrete surface, on which the ice is supposed to be made, failed. "This was outside the control of the city, and staff are working with the designer and construction company to determine the reason for the failure and an appropriate solution," the post read. For some, that means another skating season lost. "When I first found out not only about the delays, I was frustrated. But [that] they're going to have to redo the whole project, I was not happy," said Crawford who touted the new ice park in his last election campaign. "I can't explain how frustrated I was." Cindy Elkerton says she was also disappointed by the delay because the park has been sitting unfinished for several months. "Before they started building anything, the park was really great and now it's kind of junky and gross and not really safe," she said. Neil Mullaney, who has lived in Scarborough for 50 years, launched a petition last week so his four children could lace up their skates at McCowan District Park this winter. "I was heartbroken," said Mullaney, who had already made plans to go skating because it's a cheap way to spend time with his family. As of Saturday afternoon, 122 people had signed the petition. "The city of Scarborough is not going to take it. We don't want to be neglected, we deserve this skating facility. It's something our communities need," he said. 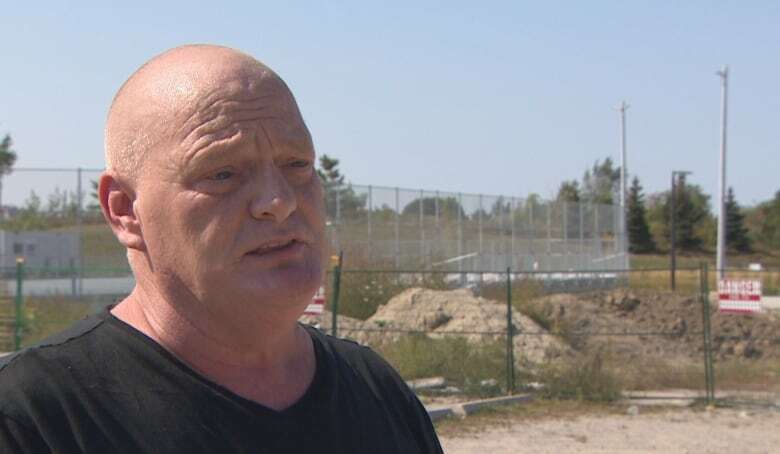 "What really hurts me is that when you look at this facility, it's now like a garbage dump zone. There's broken concrete and it's attracting wasps. We had children playing here all summer long and its been abandoned and I really think the city needs to clean this up." City staff have launched an investigation to resolve the refrigeration issues with the construction company, said Crawford, noting replacement of the pipes will be done at no additional costs to the city. "This doesn't happen regularly so I think this was an anomaly with regards to the failure," he said. Planning for the outdoor ice rink began in 2014 as part of the park's redevelopment, he explained, highlighting its ideal location for many Scarborough residents. In the meantime, Crawford is assuring residents the city will open a temporary artificial rink like the one at Nathan Phillips Square. "We need to get something, and I want and I've demanded, to have something for the residents to enjoy this coming winter," he said.